Although the “best” toolmakers will always come down to a slight amount of subjectivity, we scoured the web and did our research to find the top brand producing some of the most reliable and widest range of tools in the business. With all these factors in mind, it’s no wonder that the black-and-yellow tool giant DeWalt earned the #1 spot as the best tool brand for 2019. We highly recommend it for professionals and DIYers. With a solid warranty program and the majority of its tool production facilities located in the United States, DeWalt is just about as close to the obvious choice as you can get in this highly competitive industry. During our research into the best tool brands we found it was always a close contest in preferences of tool users between our #1 pick DeWalt and the occupant of the #2 slot, Makita. That said, DeWalt earned the edge just ever so slightly thanks to its better warranty programs and more extensive network of approved repair shops, making it easier for owners of DeWalt tools to easily get their equipment repaired and back in action quicker no matter where their worksite is in the world. Despite being one of the few companies on this list which essentially manufacturers the majority overseas in China, Milwaukee still earned a number of accolades from tool buyers who consider the company to produce some of the best tools (for the price) in the business. This may be due to the company’s recent efforts to bring jobs back stateside, with a $47 million investment in local production facilities over the last five years. This has led to new and more technologically advanced plants being opened in states like Mississippi and Wisconsin. When it comes to the fine balance of price to quality, Bosch seems to have managed to walk that line expertly by offering tools which generally skew toward the cheaper side of the spectrum (thereby opening themselves up to a much wider spectrum of the home buyer market), without sacrificing the quality that most professionals have come to associate the brand with. Although many of their tools do come from production facilities located either in China or Mexico, the company also maintains strict guidelines on quality, which seems to have paid off in spades to make them one of the most widely purchased tool brands operating in the market today. Finally, we come to Ridgid. Ridgid is one of the oldest brands on this list, and actually has the distinct claim to the patent for inventing what everyone knows as the modern-day pipe wrench. The company has topped several lists among professional construction workers for their power tools, though their primary focus (and expertise) is in manufacturing just about everything a plumber would need to do their job effectively. Ridgid has taken some flak in recent years for leasing the brand out to another Hong Kong-based company called TTI, which also manufactures products for the likes of previously American-made brands like Hoover, Dirt Devil, and Homelight. 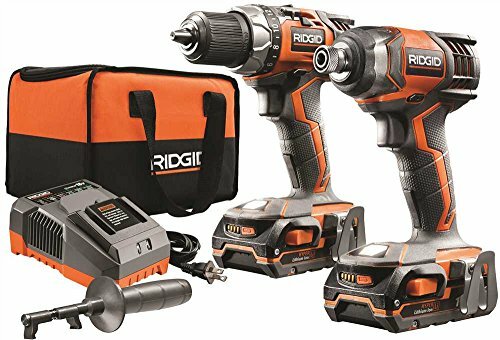 That said, with so many accolades under their belt it doesn’t seem as though Ridgid has let the quality of their tools suffer as a result of this rebranding, which is why although not the best brand out there, has still earned a respectable #5 slot on our list of the best tool brands for 2019. Stanley: Stanley is another highly-regarded brand in the tool space that’s known for creating quality tools that can stand the test of time. The options with Stanley can be a bit pricier than some other brands on this list, but the brand is definitely a case of “you get what you pay for” when it comes to long-lasting reliability and strength. Husky: Husky covers every area of the market with its tool lines, catering to the demands of professional craftsmen and home builders alike. There are a large range of Husky tools to choose from along with about a dozen well-supplied pre-selected toolkits you can buy, so if you’re on the hunt for variety and want the all-in-one experience, Husky might be the right choice for you. Craftsman: Since their $900m acquisition by Black & Decker in 2017, many tool heads have reported a significant drop in the overall quality of tools that Craftsman used to be known for. This is likely due to outsourcing the production of tools to China, a move which seems to have doomed every brand in this space before it. In general, we relied on the votes of home tool buyers as well as professional craftsman to reach our rankings of the top five-tool brands in the United States today. That said, there are a few other factors that were considered which helped us reach our final list. When you buy a tool you want to be sure that it’s going to be able to stand up to any punishment you throw its way, which is why the build quality and lifetime durability are the #1 factors we considered when deciding on the best tool brands in the business. Of course, the quality of a tool is always weighed directly against the price you paid for it, which is a balance that many US-based toolmakers have been struggling to maintain as Chinese and Mexican-made tools undercut the market by significant price gouging at checkout (more on that below). If you’re willing to pay just a bit more though, the jump in quality, durability, and the overall lifetime of your tool is significant. If you’re uncertain whether or not a cheaper tool might come with some problems by the time it shows up on your doorstep, be sure you read the company’s warranty policy carefully to guarantee that it covers any manufacturing defects that could present themselves at the time of purchase. In the world of power tools, warranty programs and return policies can be pretty confusing to the layman. Because the number of things that can go wrong with a heavy-duty tool are just as varied as the number of applications a tool can have, just about all of the companies on this list will only cover manufacturing defects that the company themselves verifies after you mail it in. Not only that, but warranty length will vary pretty significantly both between the company you go with as well as the actual type of tool itself. For example, Makita offers a 1-year defect repair warranty on its corded tools, but a 3-year warranty on any tools that use a lithium-ion battery, and so on. As non-experts ourselves, we deferred most of the heavy lifting to about a dozen other annual roundups of the best tool companies of the year, as determined by experts in their relevant fields as well as ranks handed out by home buyers who used portals like Ranker to vote for their personal favorites and rank them by popularity and quality. And as always, Amazon provides an amazing resource of buyers who not only rate how well a tool performed upon first purchase, but will often come back and update their review two, three, even five years later to let other prospective buyers know how the tool held up over time. This is an invaluable resource of knowledge for anyone who wants to find out which tool brands hold up to punishment and which inevitable failed, and one only needs to sort by star rating to get a quick snapshot of who pulled out in front and which brands fell by the wayside after extended periods of use and abuse. Dozens of tool brands have moved their manufacturing plants to China over the past few decades, and it seems both craftsmen and home buyers alike unanimously agree that the quality and durability of the tools suffered as a result. Producing tools in the United States does have its drawbacks (limited capacity, slimmer margins), however, the jump in quality simply can’t be ignored. It may mean you end up paying slightly more at the register, but when you consider what it would cost to replace that tool every time it breaks the small uptick in final cost definitely starts to look a lot more worth it.